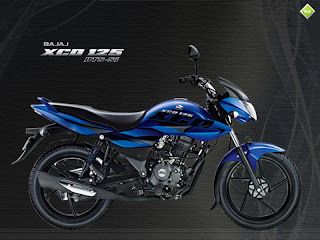 Bajaj Auto Indonesia launch new motorcycle that the Bajaj XCD 125 DTS-SI. This type sport motor with engine capacities 125 cc, Digital Twin spark-swirl inductions technology claimed result net combustion causing economical consumed fuel. 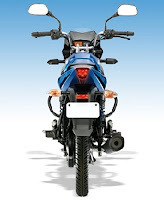 This motor became correct choice if you wishes having the motorcycle small capacities, complete feature that was: Digital Speedometer, LED tail lamp, Headlamp with twin prismatic pilot lamps, Folding number plate allowing lower front fairing, Full DC electrical system and Unique utility box. Performance: Engine 125 cc with maximal torque 10.85 Nm/5000 rpm, compatible applied for you having high usage impulse in big towns. Where having of solidity level of traffic which is big or carriage in usage of stop and go. You don’t require high speed at condition of town like this but requiring strong motor and has consumption efficiency of good fuel. Yes that will be replied with engine type DTS-SI claimed by manufacturer can reach 109 km per liter. Price: For in Indonesia Rp. 13.5 million is including having price which is cheap enough compared to with competitor from the other manufacturer (for example Suzuki Thunder 125 Rp. 14 million). It is of course feature from this motor also enough good. But usage the front brake which using drum under developed to compared motors which has circulated in Indonesia. • RG4HC (Resistive) Spark plug gap : 0.7 to 0.8mm. TRANSMISSION: 4 Speed Constant mesh. • Accelerator: Twist grip type on right side of handle bar. • Gears: Left foot pedal operated. • Clutch: Lever operated on left side of handle bar. • Front: Lever operated on right side of handle bar. • Rear: Pedal operated by right foot. Bajaj nya dah laku berapa ?